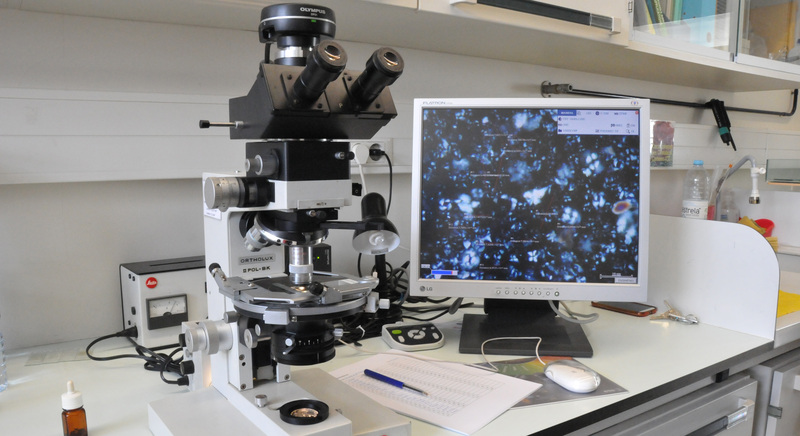 The IDL Calcareous nannofossils Laboratory supports all research and post-graduation formation conducted on Calcareous nannofossils, either for biostratigraphy or paleoceanography purposes, providing services for external entities such as the oil industry. It contains specialized bibliography, sample reference data bases, and specific laboratorial equipments for preparation, identification and assemblage quantification of calcareous nannofossils from cores, calcareous nannoplankton from surface sediments and Coccolithophores from ocean and marine water column. 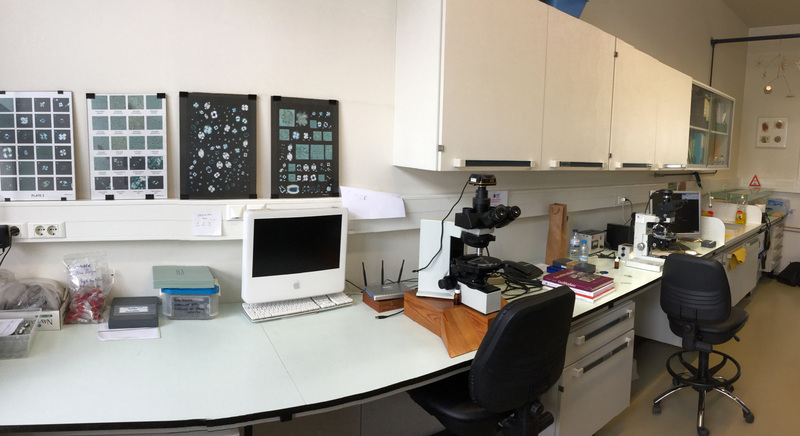 It is also prepared for digital morphometric analysis and photographic documentation of these specialized groups of microfossils.